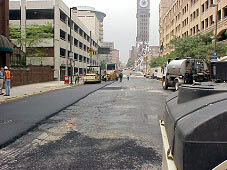 The Highways and Streets Engineering group manages the roadway design portion of the capital improvement projects throughout the City. This group works with the consultants to plan, schedule and deliver the design of major roadway improvement in the City of Baltimore. The work would include the design of such projects as resurfacing, reconstruction and streetscape of the roadways and streets in the City. This group also administers the capital improvement portion of the traffic improvements including the design of street lighting and traffic signals. In order to insure quality work by developers and private contractors, the Highways group regularly reviews the contractor permits as well. The Bridge Engineering group manages the design of all the structural elements of the transportation capital improvement plan. This group works with the consultants to plan, schedule and deliver the design of major transportation improvements in the City of Baltimore. 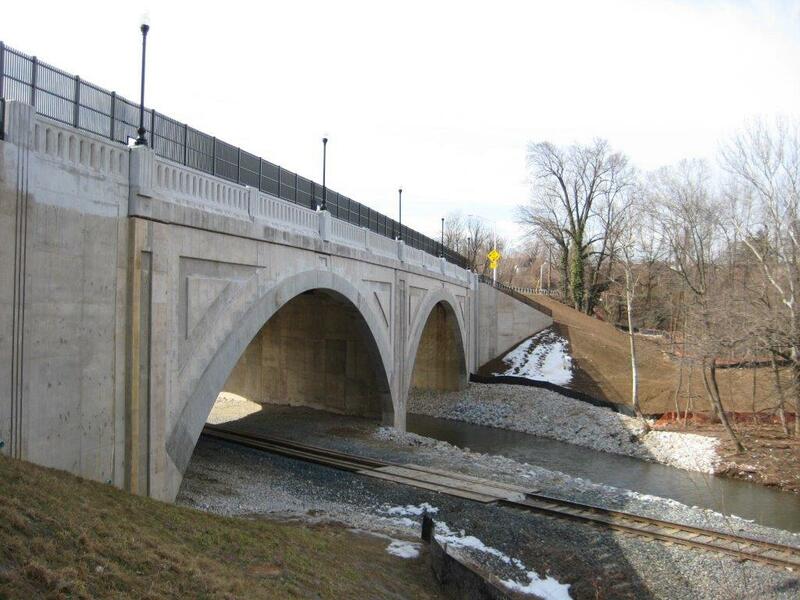 This would include the rehabilitation and/or replacement design for such structures as bridges, retaining walls and bulkheads. The Construction Management group provides contract management and inspection services relating to all transportation projects. The Group is responsible for administering all local and federally funded highway reconstruction, bridge, bulkhead, street lighting, and traffic signal projects. This group also administers all alleys, footways and streetscape contracts in the City. The Land Surveys Section provides a full range of land surveying services, including Topographic, Metes & Bounds, Construction Stakeout and Right-of-Way Surveys, as well as plat preparation for Right-of-Ways, Easements and Subdivisions of land. This section collaborates with various groups within Department of Transportation as well as other agencies such as Department of Public Works and Department of General Services. This section also collaborates with private consultants as they provide survey data and maintain the Baltimore City Survey Control Systems many control stations and bench marks. To learn more about the Survey section, including its Products and Services, click here. The footways group is responsible for investigating and resolving complaints of damaged footways throughout the City. This group also compiles, plans and puts together the annual footway rehabilitation/ reconstruction contract for the City of Baltimore. The alleys group is responsible for investigating and resolving complaints of damaged alleys throughout the City. This group compiles and puts together the annual alley construction program for the City of Baltimore. 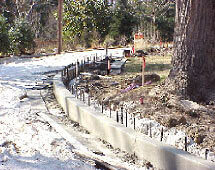 The Conduit Section Engineering group provides engineering, maintenance and inspection of conduit infrastructure within the City’s right of way and ensures cohesion between plans of construction submitted by developers, contractors or internal agencies/resources that correlate to applicable permits for use of right of way and GIS data entry; thereby allowing proper review, approval and oversight of proposed conduit facilities. Additionally, our engineering group facilitates conduit plan development, specifications and cost estimates for capital projects. 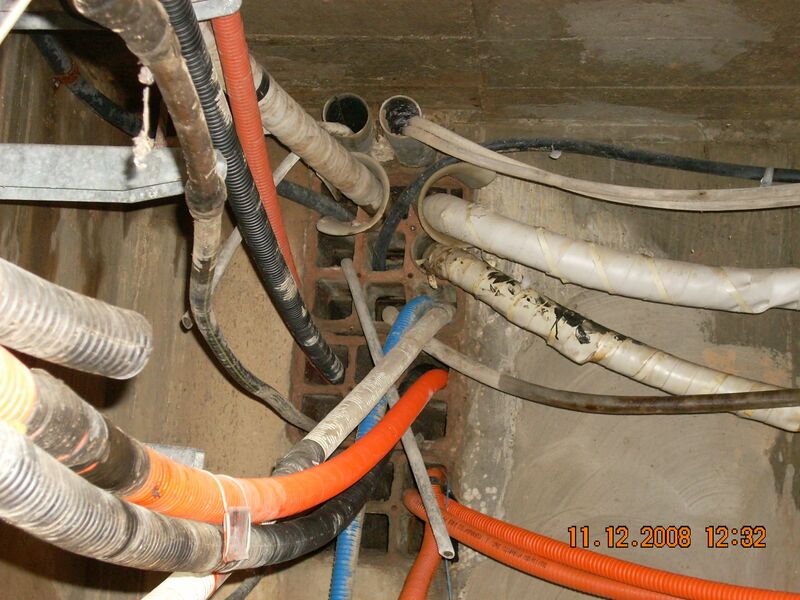 Thirdly, the Conduit Section manages the conduit leasing program that enables various companies, which include public and private entities, to lease duct space in our underground system to run electrical, communication, and fiber optic cable services to businesses and residences. Finally, the Conduit Section is responsible for managing the Distributed Antenna System (DAS) program for the City. Additional information about the DAS program can be found here. The group has adopted a proactive maintenance approach thereby deploying inspection crews for manhole conditional assessment and duct mandrelling to identify and repair obstructions or structural inadequacies to accommodate efficient tenant use.